On our visit to Scotland in 2012, we made a stop by the Dochfour estate near Inverness to take a look around. The weather was sunny with bright blue skies, something that I think is pretty unusual for Scotland. I’m sure the locals were loving it, but I did wish for a few clouds to help add some drama to my photos. The sunsets were also harsh and a bit hazy, so I needed to get a little creative. 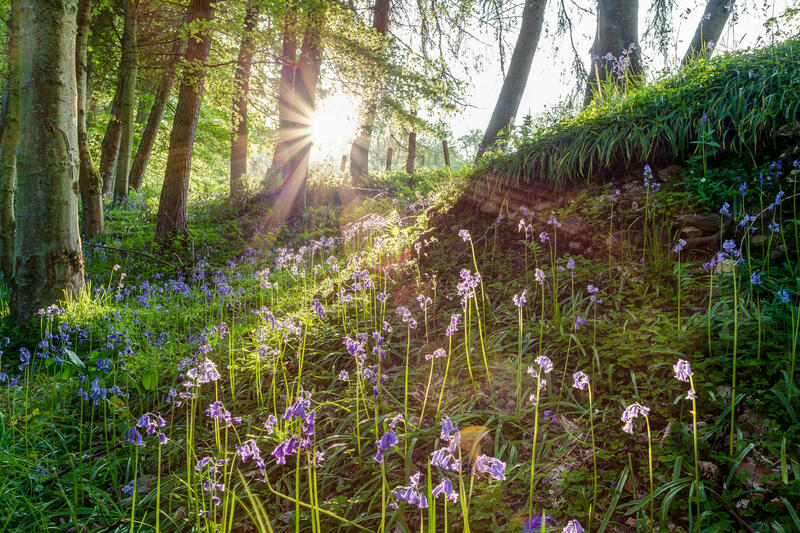 Finding this wonderful forest was just the ticket, and it gave me a great way to put some pop in my photos. Visiting Scotland in 2012, I loved the combination of old and new. I especially liked this view of Inverness Castle, shrouded in scaffolding, rising above the modern buildings with their shops and apartments below. 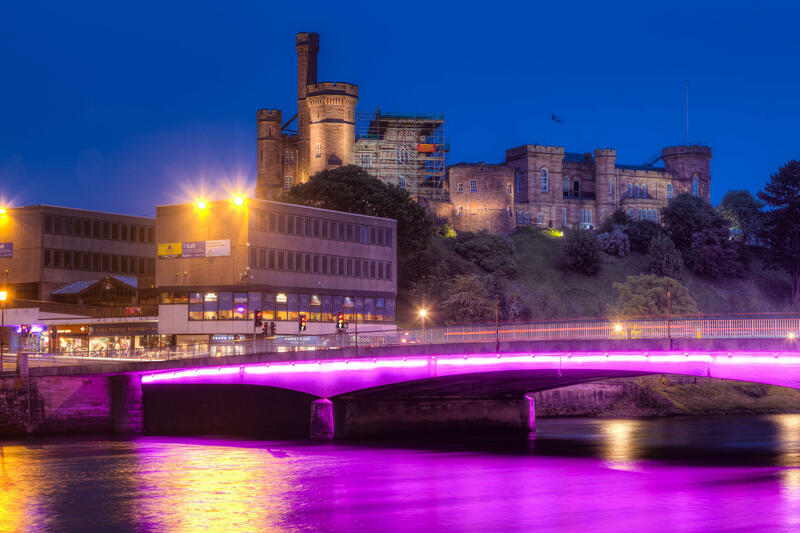 In the foreground, the incredible Young Street Bridge radiates bright pink energy that welcomes you to an Inverness that is probably very different today than in 1836 when the castle was last rebuilt (or 1057 when it was first built). 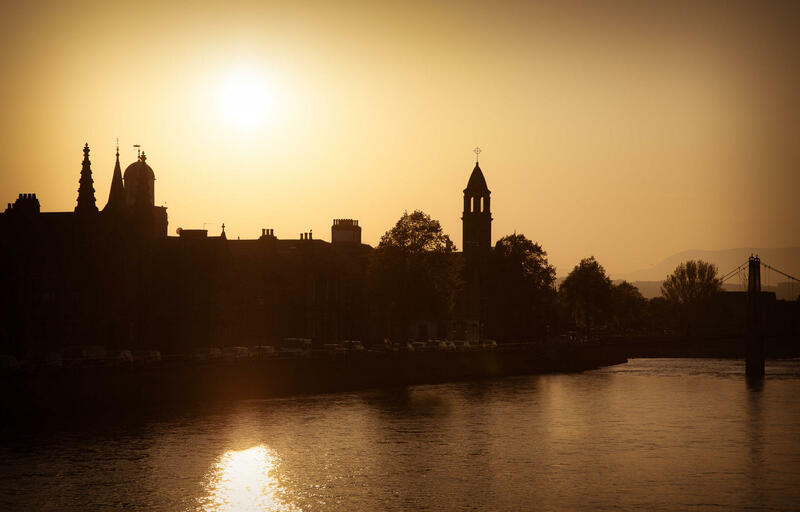 While visiting Scotland in 2012, I wanted to find a fresh perspective on Inverness. 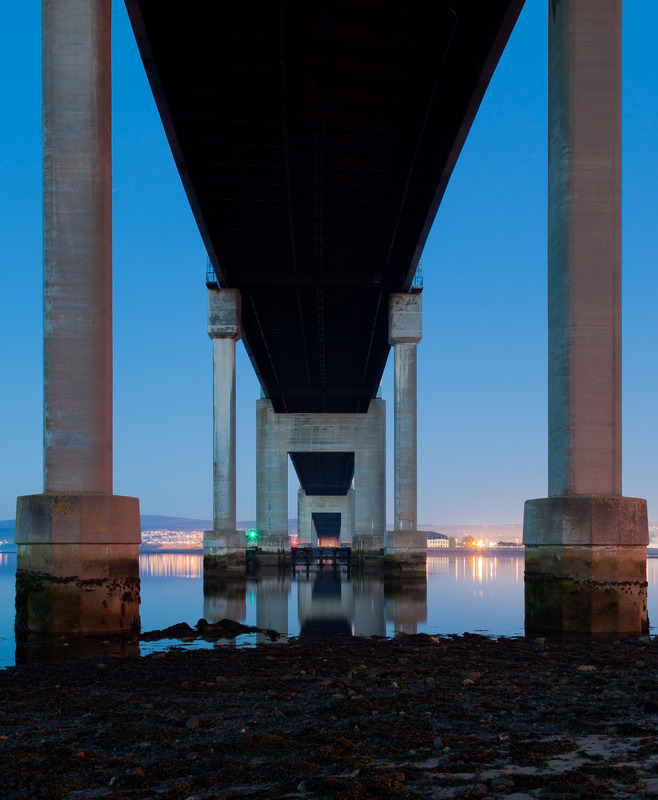 I took a drive north over the Kessock bridge and noticed on my map that it was possible to drive below the bridge and look back towards Inverness on the water. After taking several photos away from the bridge, I realized the bridge itself could be a compelling addition to the photo.